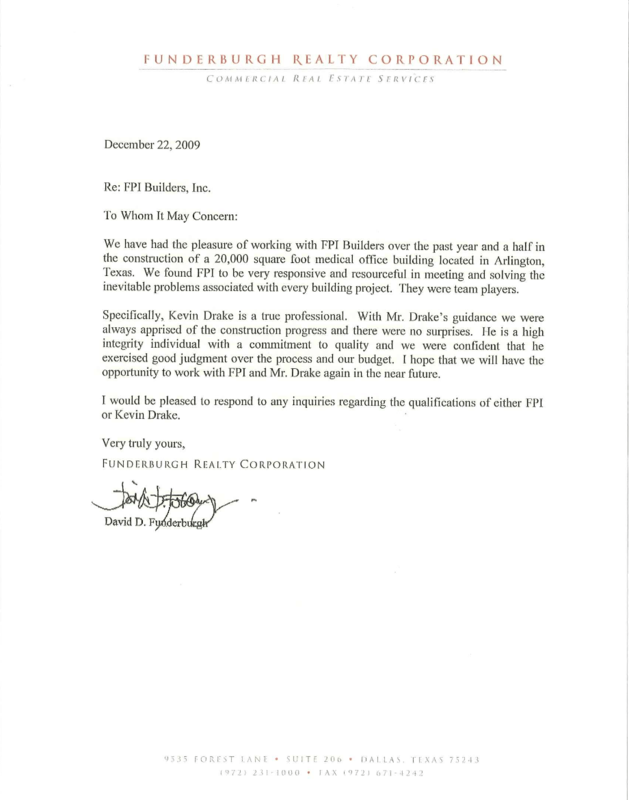 FPI Builders values our relationships with our customers and strives to make sure their questions and concerns are addressed from start to finish. 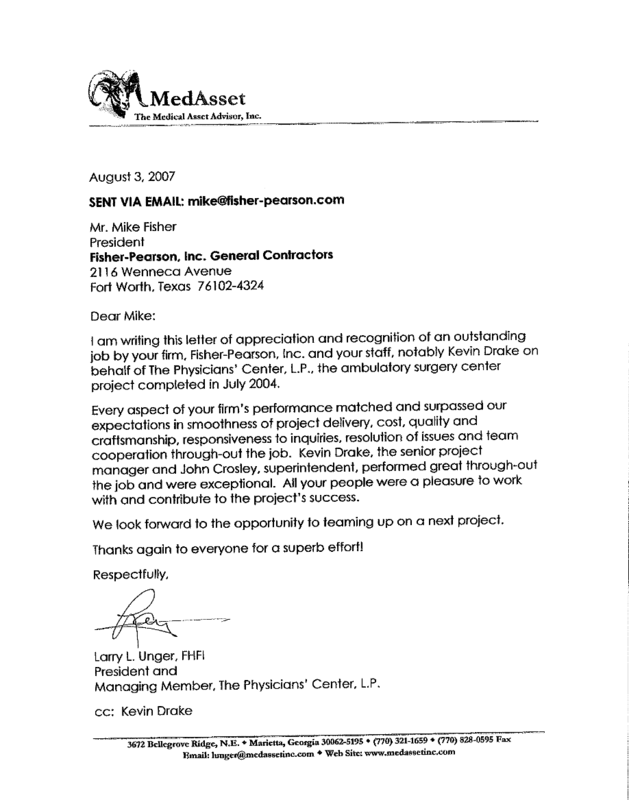 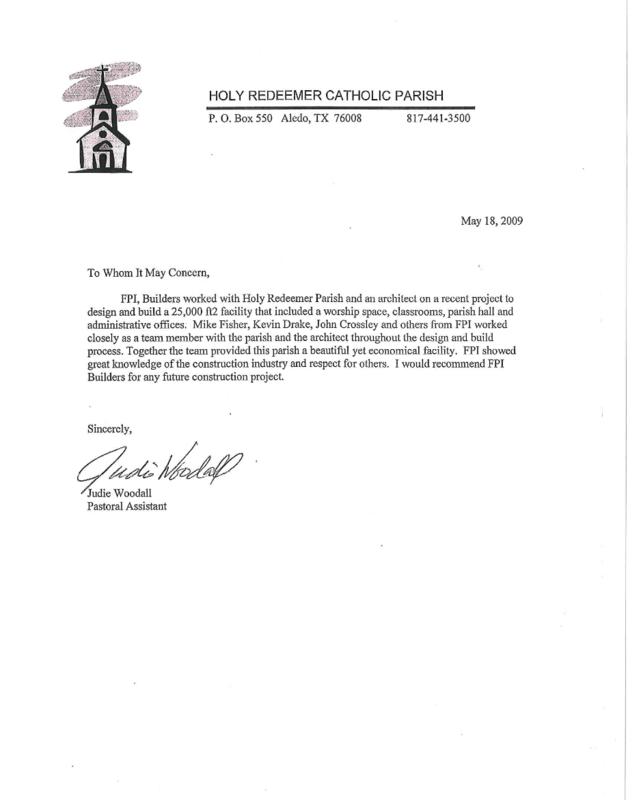 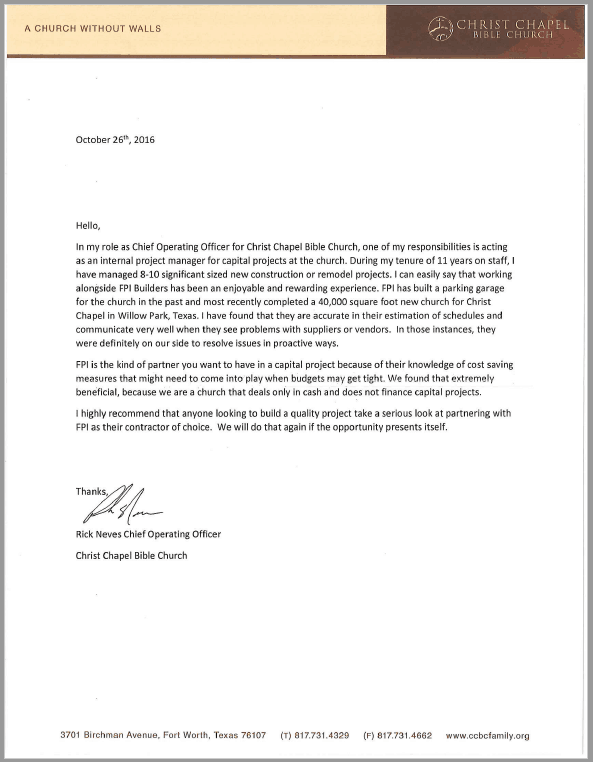 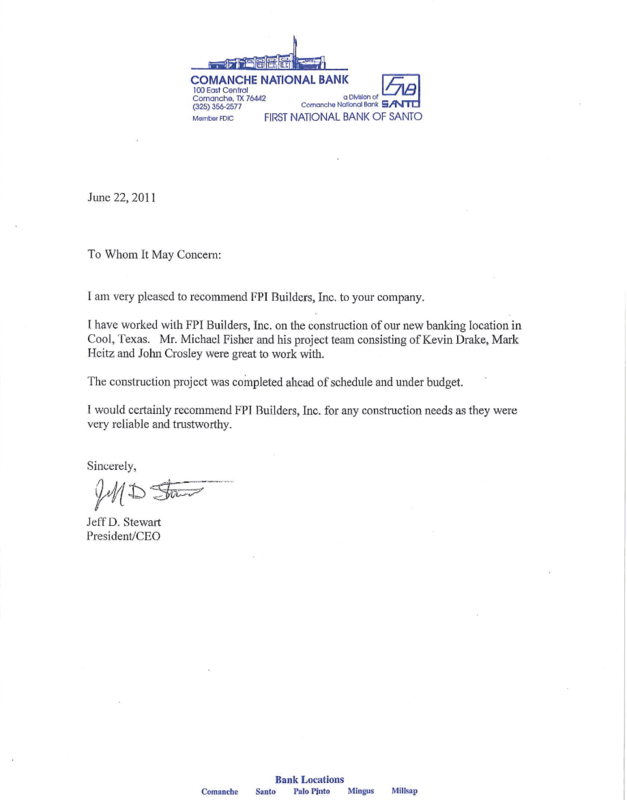 Here are some of their words regarding our work and the construction process. 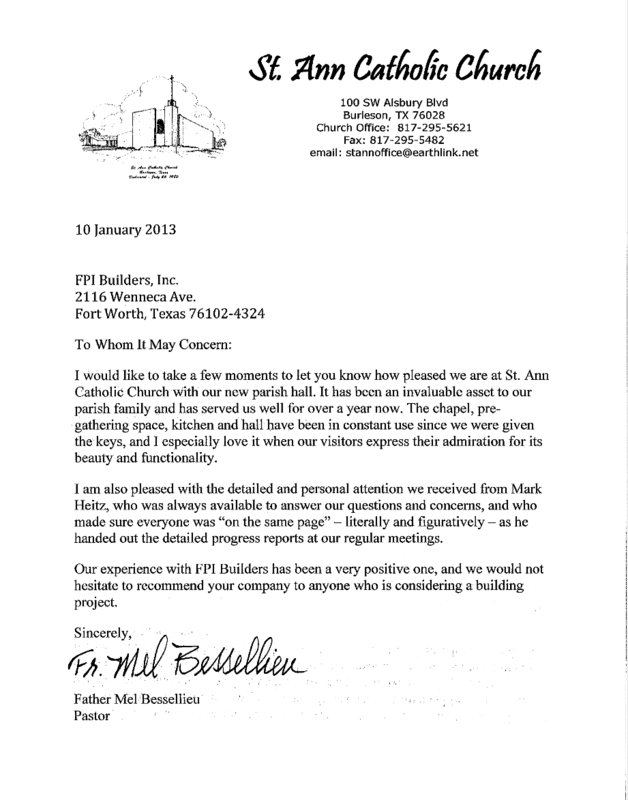 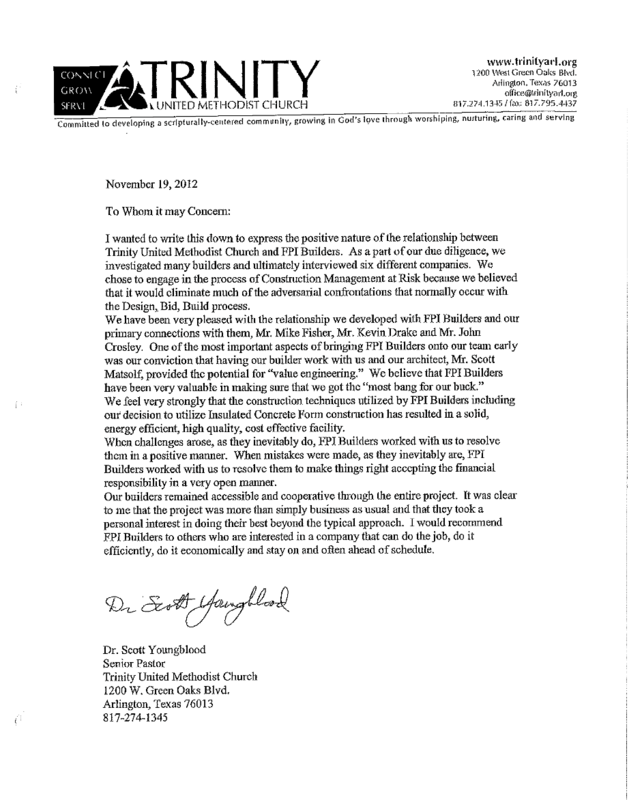 I can tell you honestly and enthusiastically that our best experience to date was working with FPI Builders. 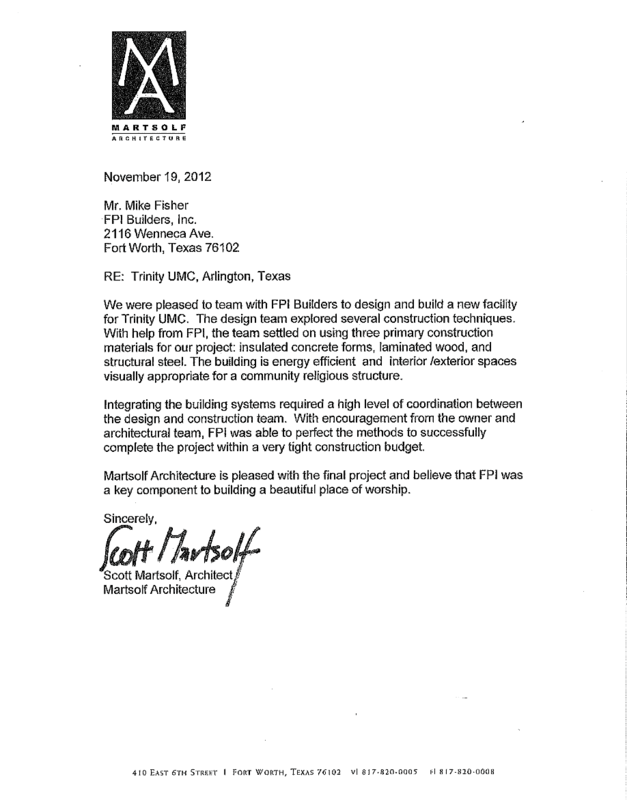 FPI is a great firm. 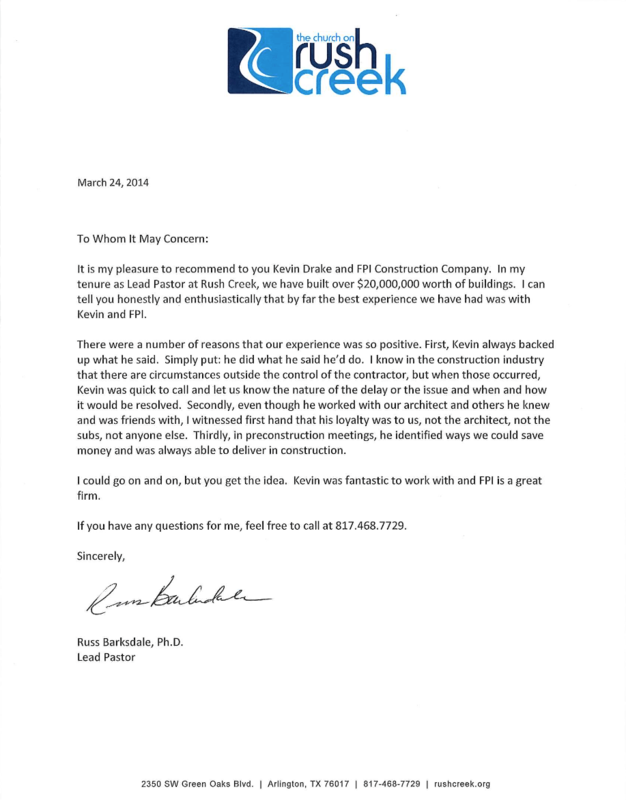 I have found them accurate in their estimation of schedules and was very pleased with their level of communication. 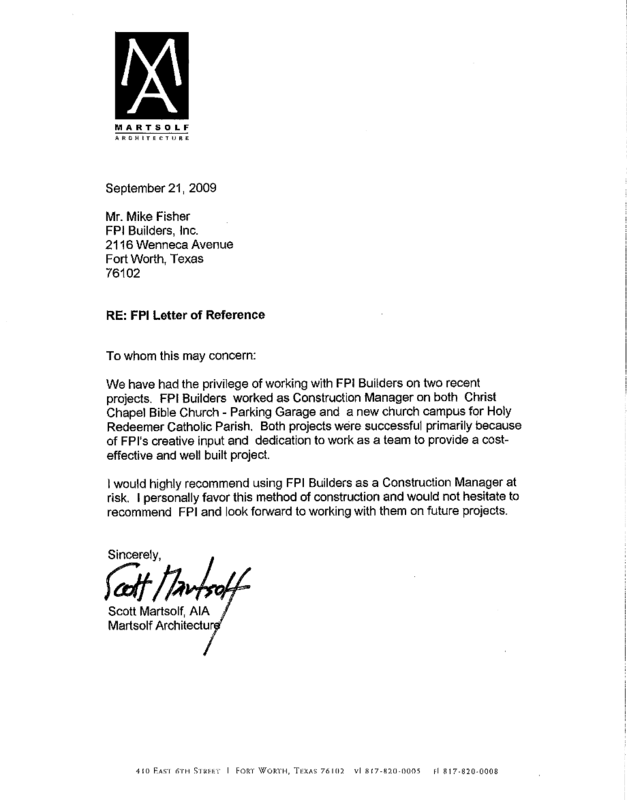 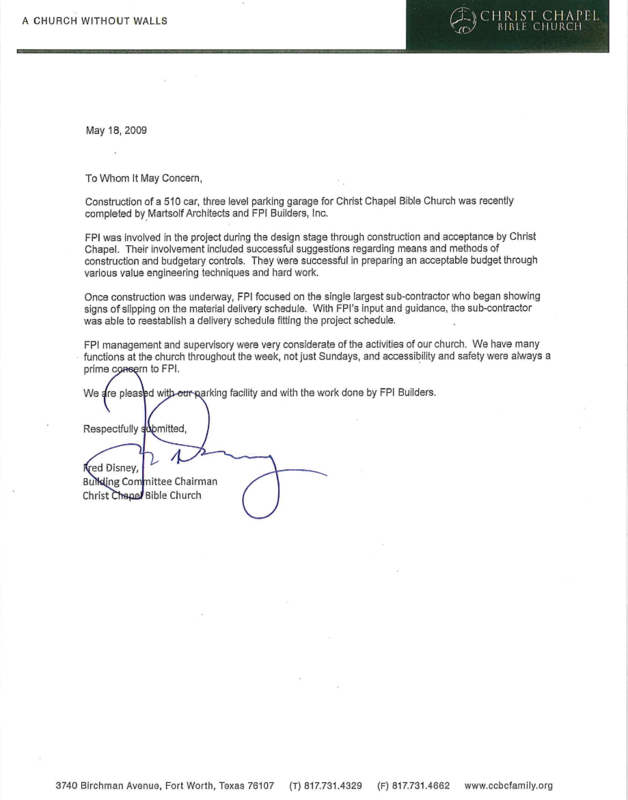 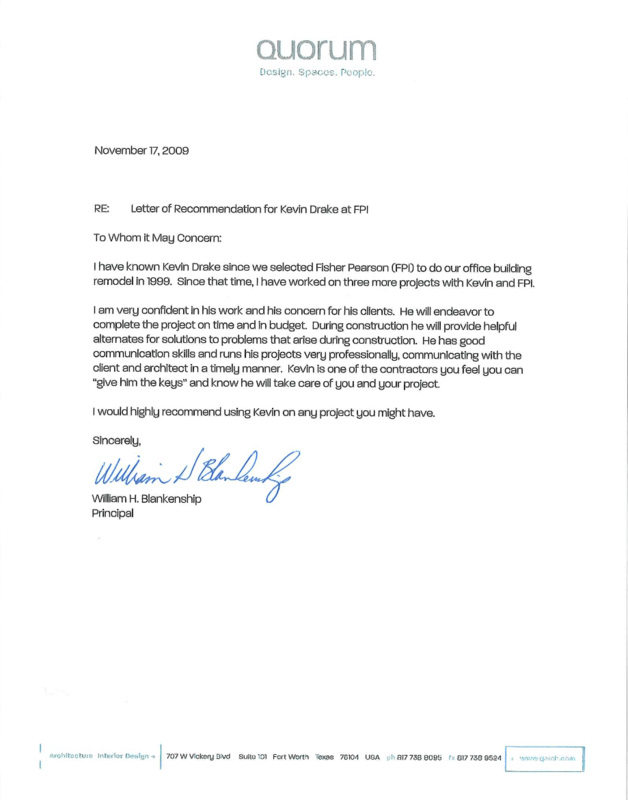 FPI is the type of partner you want on your side during all phases of construction. 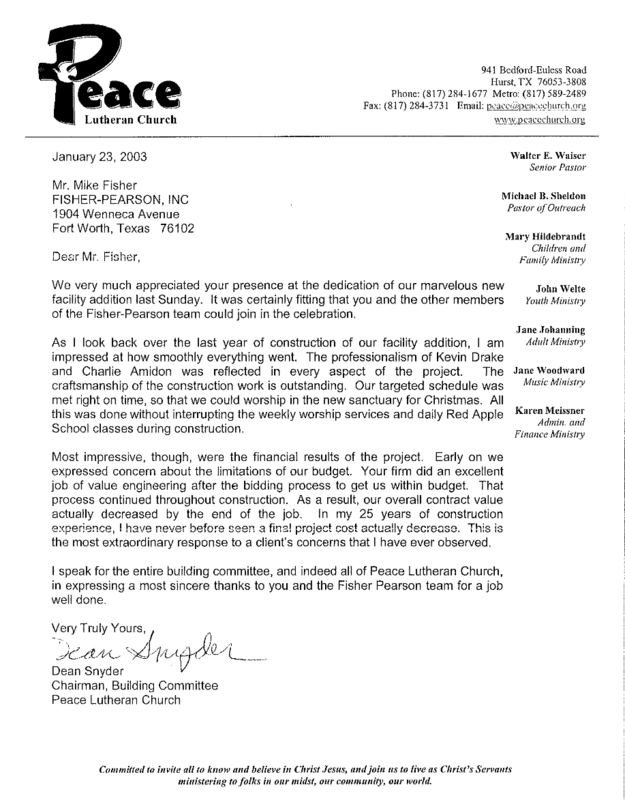 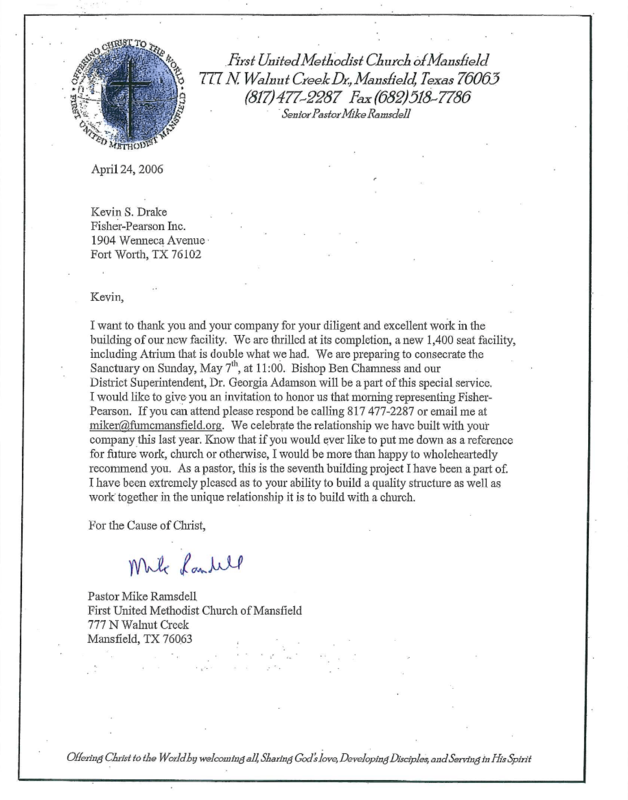 There knowledge of cost savings came in hand more than once during our recient chapel remodel.